Disney's former Director of Corporate Synergy, Lorraine Santoli, gives a first-person, behind-the-scenes account of how she and her colleagues spearheaded Disney's financial and cultural recovery during the Michael Eisner and Frank Wells era. When Santoli left NBC to join the Disney team, the studio that Walt built was in a rut. Its leadership was weak, its films forgettable. 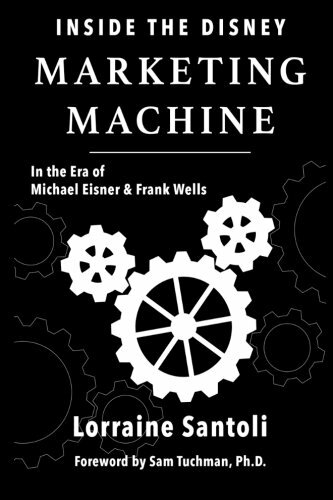 The arrival of Eisner and Wells brought revolutionary change to how the company operated and, more important, how it marketed its products. The word of the day: synergy. Come inside the world's most powerful marketing machine and see how Disney really makes its magic!